Students painted the blackness of space and splattered billions and billions of stars in the background. 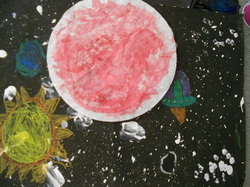 After brainstorming what might be seen in outer space, students painted a planet and drew various space objects. 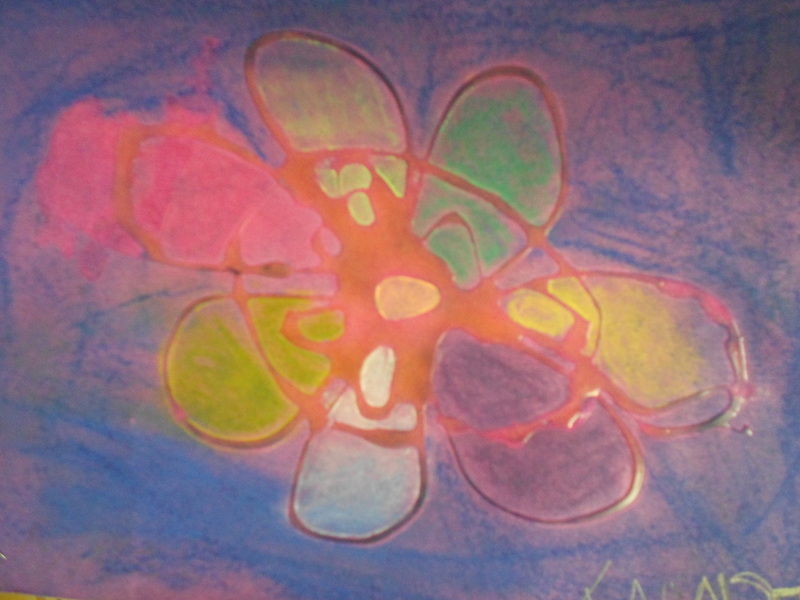 After discussing Georgia O'Keefe's flower paintings, students observed flowers, and then composed a close up view of a flower. 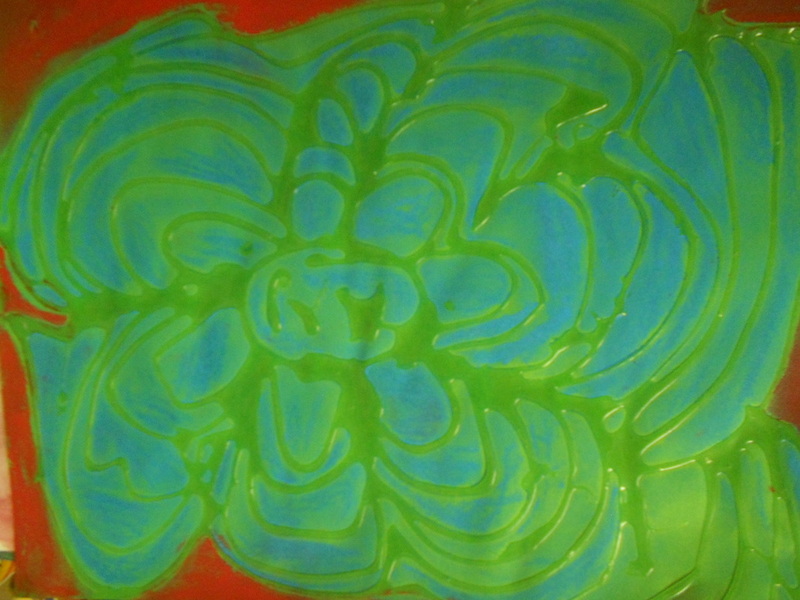 When ready, they used glue to draw the outline of the flower. 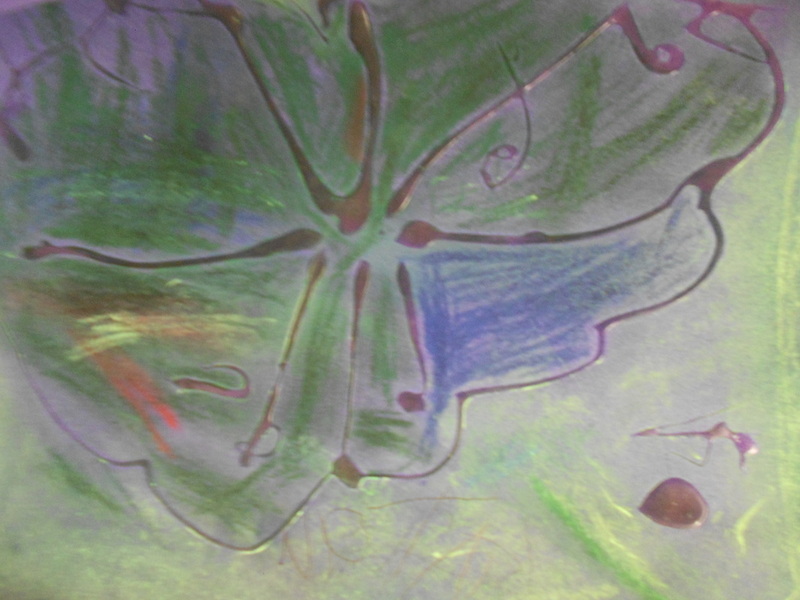 When dried students colored in the flower, by blending with chalk pastels. 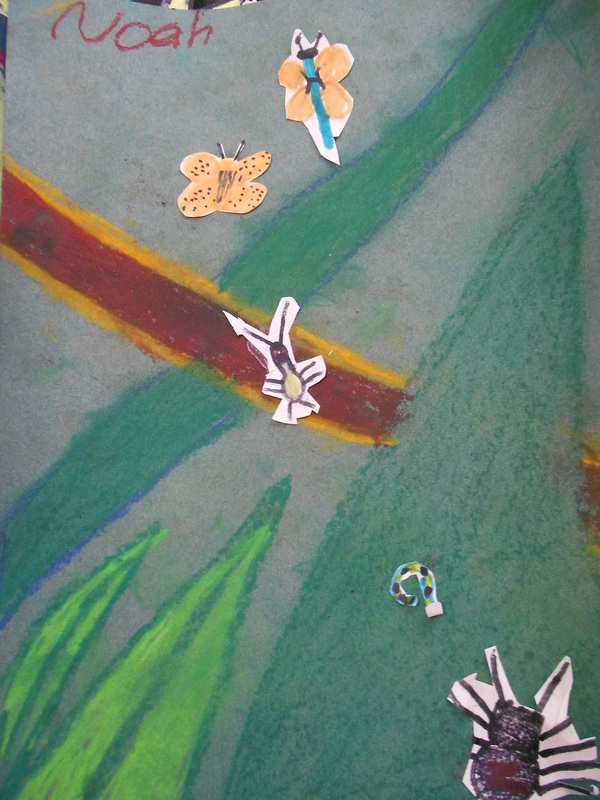 After discussing Henri Rousseau's jungle paintings, students composed a close up art work of nature. 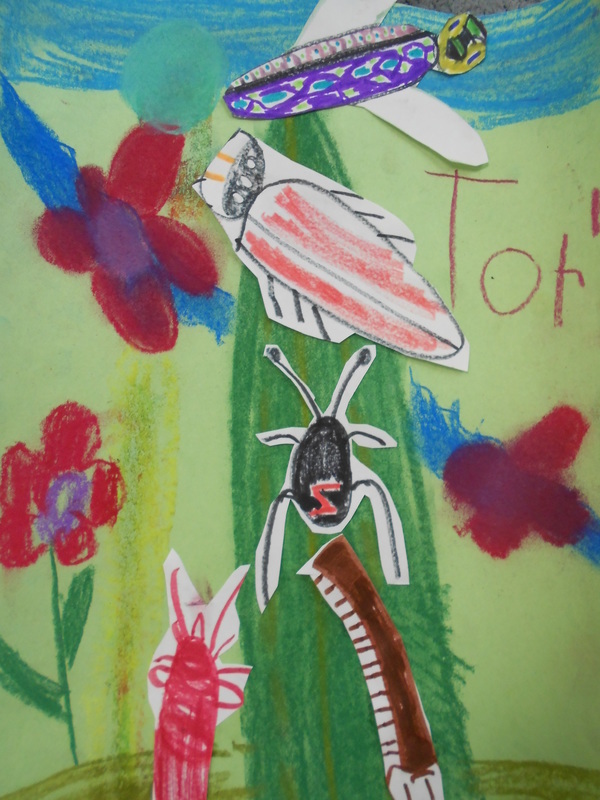 Students had to overlap the plants as you would see in a crowded jungle. 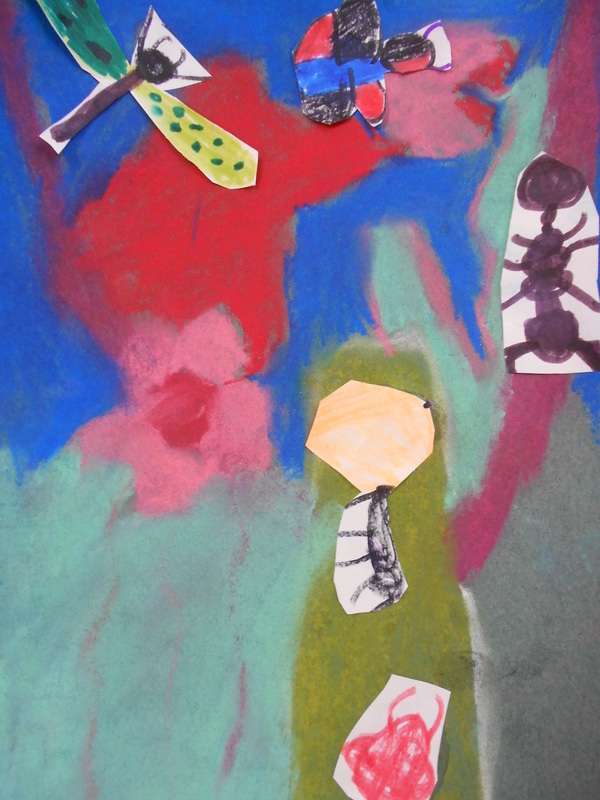 Then students created insects to add to their jungle.